“What Starbucks things should I see in Seattle?” is a common question. If you ask me that question in an email, tweet, or on Facebook, and I refer you to this article, please don’t be alarmed. There’s just too much here to re-write in emails, tweets, or a Facebook status update. 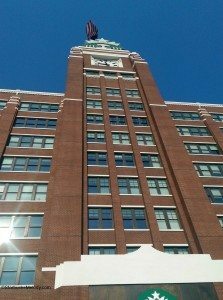 Another question I sometimes get asked is, “How can I get a tour of the Starbucks headquarters?” I’ll touch on that at the end of the article. 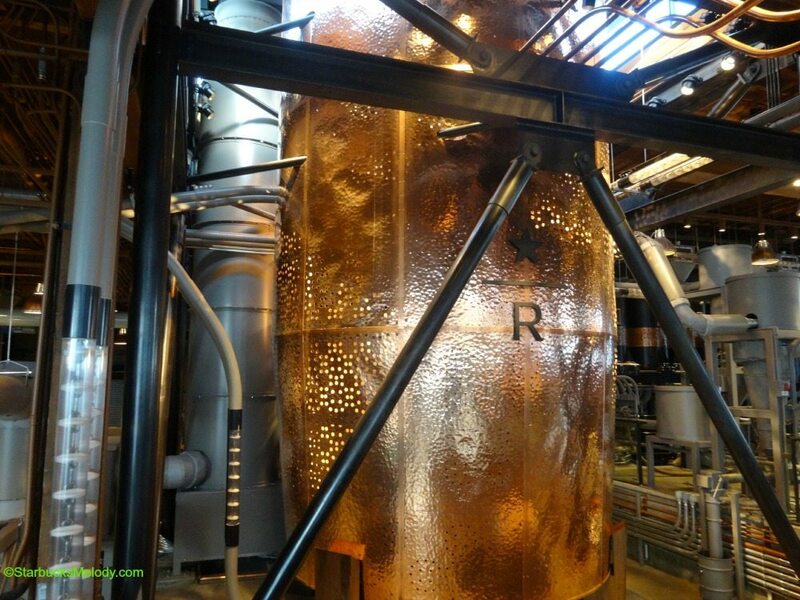 The Starbucks Reserve Roastery and Tasting Room – Opened December 5, 2014, this is not to be missed. It’s 15,000 square feet of coffee worship. You can try freshly-roasted coffee via a number of brew methods, including Clover brewed, siphon pot, pour over and more. You can watch coffee being roasted right before your eyes. You buy lots of merchandise and coffee exclusive to this store. And the food is made by Tom Douglas, a famous Seattle restauranteur. The Roastery also has a Serious Pie inside of it – a wonderful pizza place operated by Tom Douglas restaurants. The Roastery is located at 1124 Pike Street in Seattle, on the edge of downtown Seattle, First Hill and Capitol Hill neighborhoods. 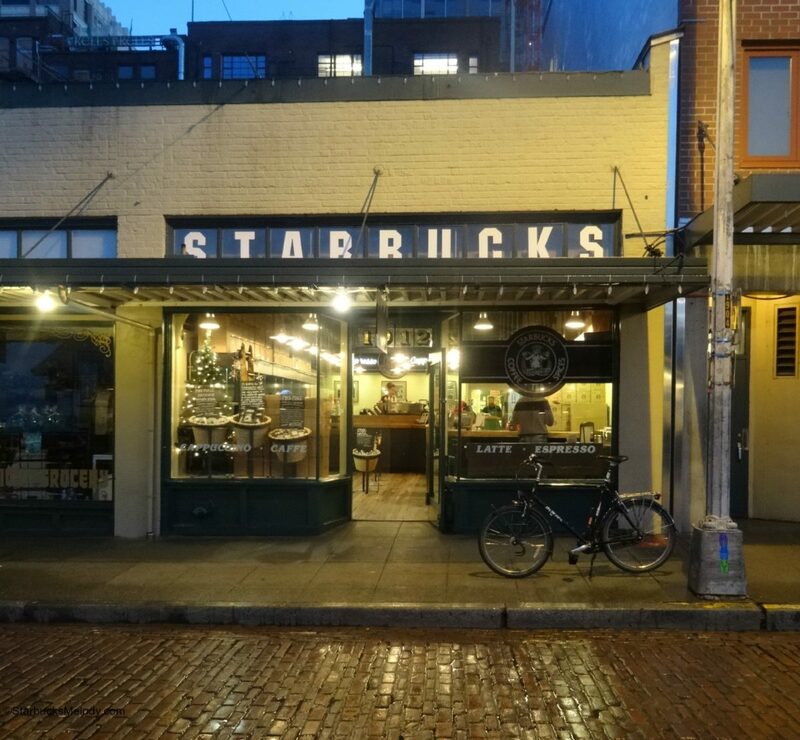 I’ve heard numerous people tell me that there are plans for Starbucks to operate a shuttle between 1912 Pike Place and the Roastery. Don’t quote me on that! If you don’t want to walk between the Roastery and 1912 Pike Place, you can take King County Metro local bus numbers 10, 11, 43, and 49, all of which run from Third and Pike to Pike and Boren. Your stop for the Roastery will be Pike and Boren. These buses tend to be crowded, slow city buses, just to warn you. 1912 Pike Place Starbucks – This is the historic Starbucks inside Seattle’s Pike Place Market, This is where “it all began,” as is often said. Here, you can buy a coffee made exclusively for this store (and sold at 1st and Pike Starbucks which is just at the edge of the Market) called Pike Place Special Reserve. It is reserved exclusively to the two Starbucks stores at the Market. Just a tip, true Seattleite’s never call it “Pike’s Place” – There is no “s.” Just call it “Pike Place” please! The 1912 Pike Place Starbucks handcrafts your beverage with a classic La Marzocco espresso machine. There is a lot of merchandise exclusive to this store too. 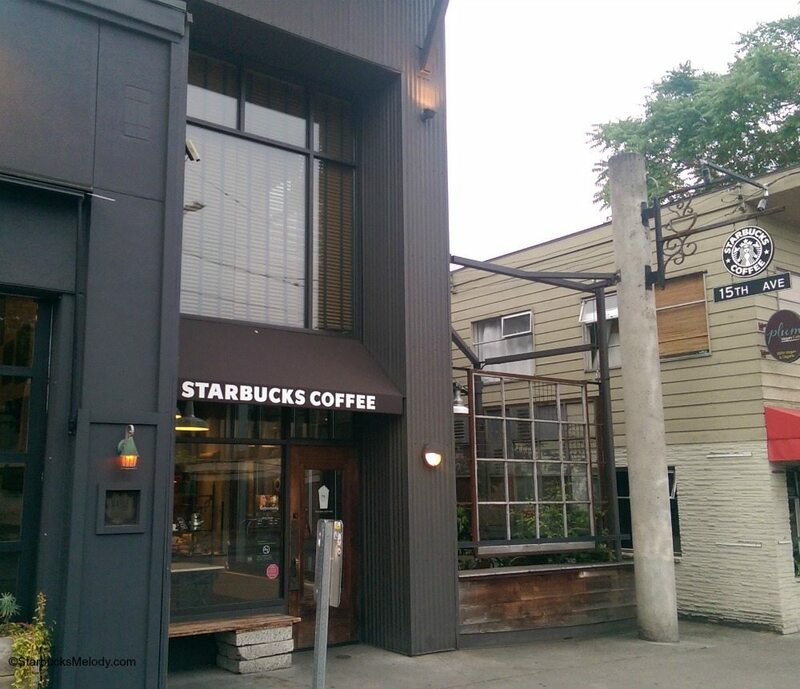 The address for this oldest Starbucks is – obviously – 1912 Pike Place, Seattle, Washington, 98101. 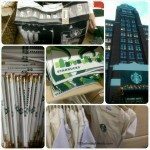 The Starbucks Coffee Gear Store – This is the one location where you can find unique Starbucks merchandise, not available elsewhere. It IS open to the public. I sometimes hear baristas say in a confused way that this store is only for partners (employees). This is not true. The Starbucks Coffee Gear Store website is only available for partners, but the actual store itself is open to the public. 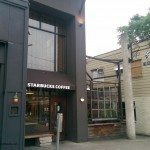 You’ll find the Starbucks Coffee Gear Store is located at 2401 Utah Avenue South, Seattle, Washington 98134. It is open Monday through Friday, normal business hours. (Closed major holidays and weekends). 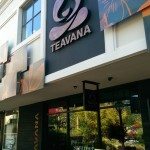 Teavana concept store in University Village – Teavana is fully owned and operated by Starbucks. 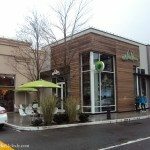 There are a few Teavana stores that are unique concept stores. In addition to selling Teavana loose leaf teas, the concept stores have a spacious interior, food offerings, and a unique tea lattes, tea smoothies and other handcrafted tea drinks. 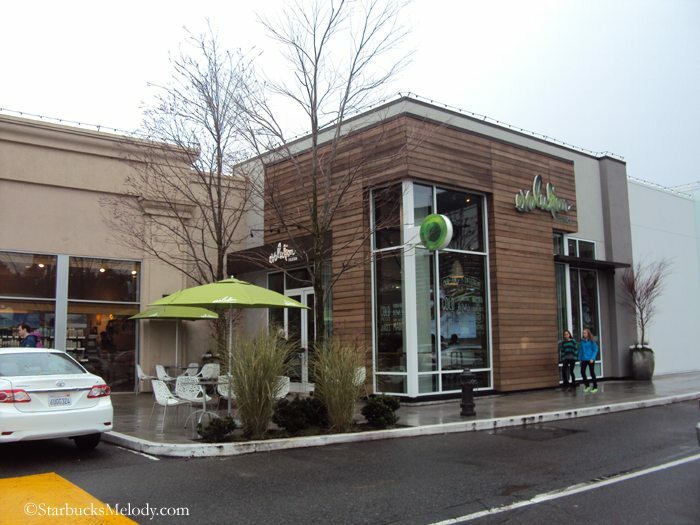 Here’s the link to the University Village shopping center where you’ll find this special store. While you’re in University Village, there is more to see. 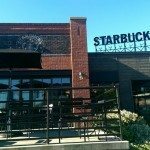 There is an Evenings Starbucks inside University Village. 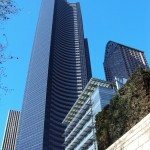 You will find this store at 701 5th Avenue in downtown Seattle, on Fifth Avenue between Cherry and Columbia streets. Roy Street Coffee and Tea – This is a concept store completely owned and operated by Starbucks. 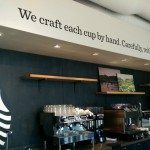 However it’s very unique – there are no blenders, one-of-a-kind foods, and handcrafted espresso beverages. Like other Starbucks concept operations, you’ll earn a star for each transaction, but there is no way to redeem a reward there. 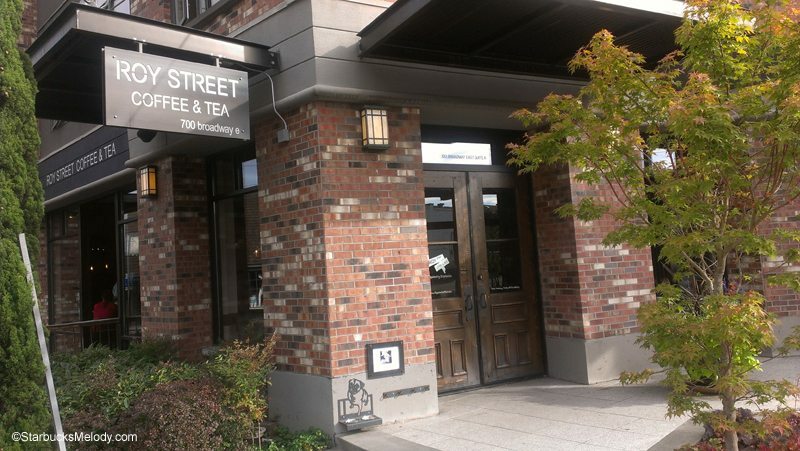 You’ll find Roy Street at 700 Broadway East, in Seattle’s Capitol Hill neighborhood. Their official website is here. Evolution Fresh Store – Starbucks operates four Evolution Fresh locations. The first one opened up in Bellevue. 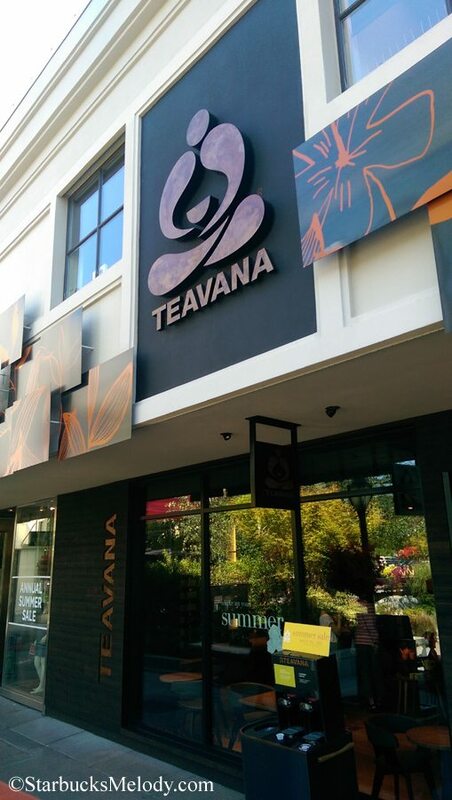 There is one conveniently located in University Village, so while you’re there checking out the Teavana concept store, visit the Evolution Fresh location too! If you are a Starbucks card collector, pick up an Evolution Fresh card while visiting this store. The Evolution Fresh-designed Starbucks card can fully be used as a Starbucks card. Register it, load money on it, and earn stars each time you swipe the card at Starbucks, Teavana, Roy Street Coffee, the Roastery, and Evolution Fresh stores. The Evolution Fresh Starbucks card is the only Starbucks card (as far as I know) that doesn’t have the word Starbucks anywhere on it. My own favorite drink at Evolution Fresh is the Smooth Carrot Smoothie! 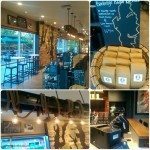 Join a coffee tasting at East Olive Way Starbucks – The East Olive Way Starbucks is an Evenings store as well as a Reserve store. You can enjoy a lovely glass of wine. You can enjoy small plated foods like truffle mac and cheese. And this particular store offers regular and consistent coffee seminars. They are generally every other Monday at 6:00 PM. They are free and open to the public. Why not take in a coffee tasting at East Olive Way while you’re visiting Seattle? 🙂 The address is 1600 East Olive Way. The phone number is (206) 568-5185. This Starbucks also has a unique store design in the sense that the bar and register areas are designed that a customer could walk all the way around it, like walking around a circle in the center of the store. East Olive Way has both plenty of inside seating, porch seating, as well as an indoor-outdoor fireplace. Enjoy your trip to East Olive Way Starbucks! 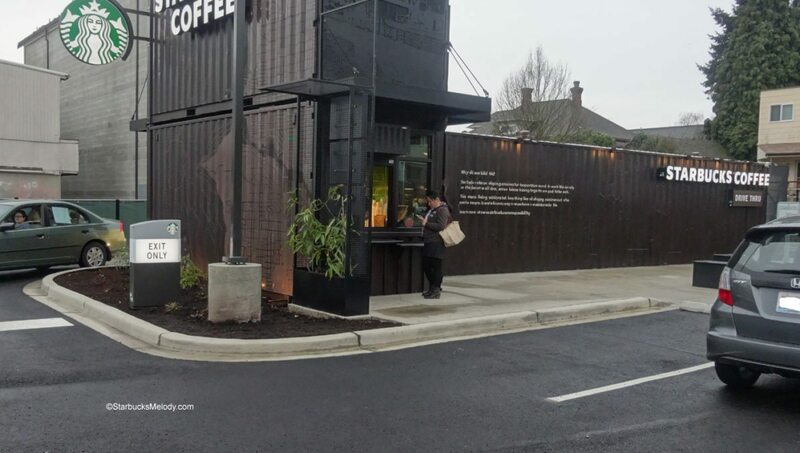 Visit the Starbucks at 328 – 15th Avenue East in Seattle. This store was once a concept Starbucks called “15th Avenue Coffee and Tea” similar to the Roy Street concept store. It’s now a normal Starbucks. 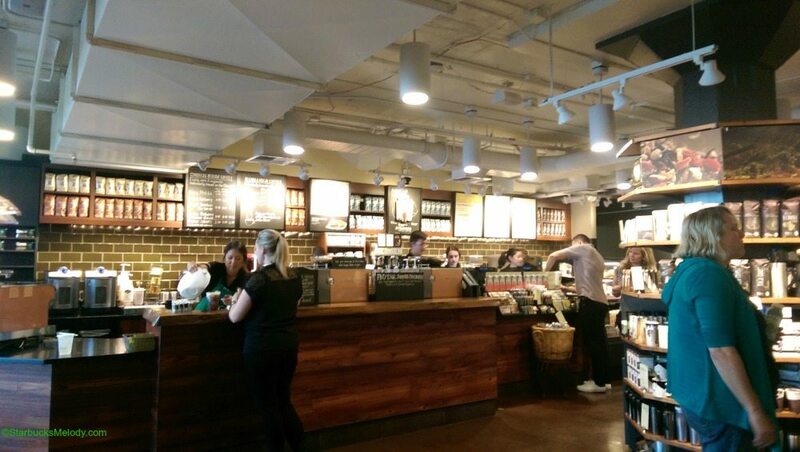 It offers traditional Starbucks beverages and food. However, since it has this history of being a concept store, it is a very unique store design and a manual espresso machine. If you can drop by this store on your trip to Seattle, it’s worth a look. 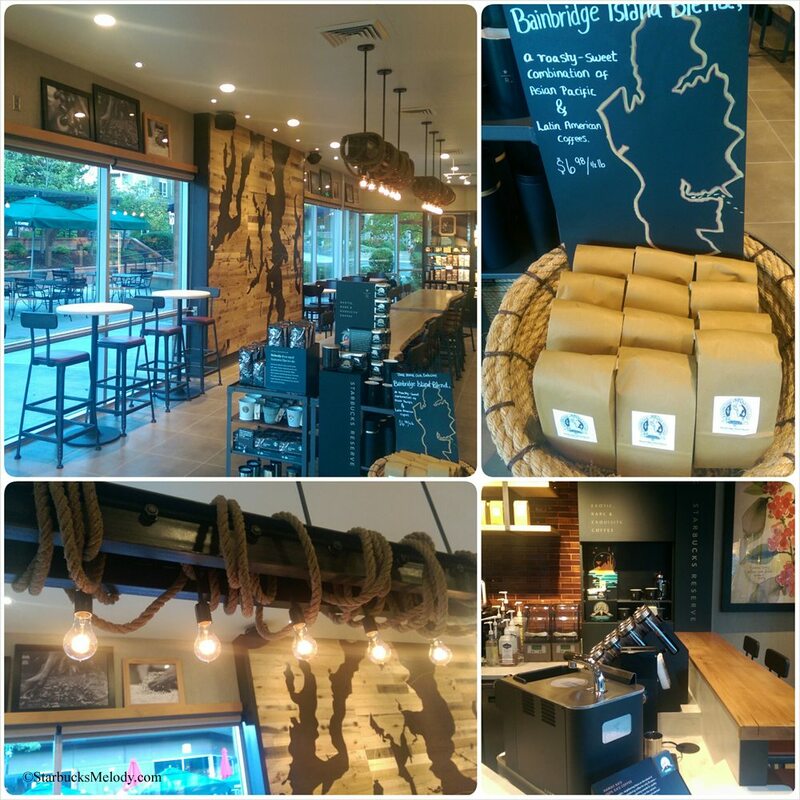 If you have a little extra time, take a ferry from Seattle to Bainbridge and visit the Bainbridge Island Starbucks. This is a little easier with a car, as the Bainbridge Island Starbucks is about a mile uphill from the ferry landing. 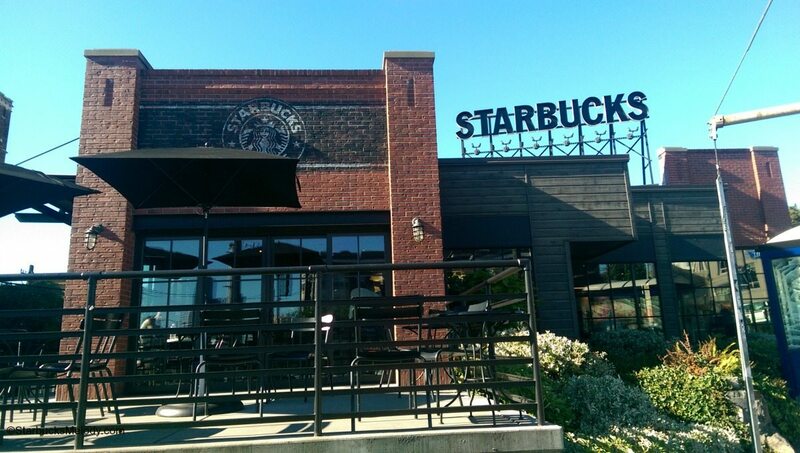 Bainbridge Island is a darling area to visit, and this Starbucks opened up new this year, in September. 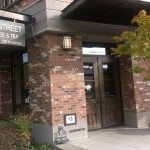 In keeping with a tradition of having unique, and localized offerings, this Starbucks has its own Bainbridge Island mugs, and you can get Bainbridge Island Blend coffee there too. This technically isn’t a Seattle sight, but it is worth a trip, if you can squeeze it into your vacation plans. 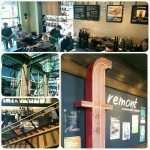 The Fremont Starbucks – In the Fremont neighborhood of Seattle, there’s a cute little neighborhood called the Fremont Starbucks. It relocated to a new and larger space in 2014. It’s a Reserve-Clover store too. 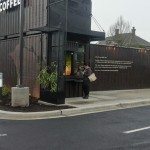 It is a beautiful Starbucks, though there’s so much to see in Seattle, I can see how this one might not be high on your list. I particularly like this store’s design, so I want to mention it here too as a possibility. And the Fremont neighborhood has a lot to see generally. You can see the Fremont Troll, Theo Chocolates, the Fremont Bridge and much more. 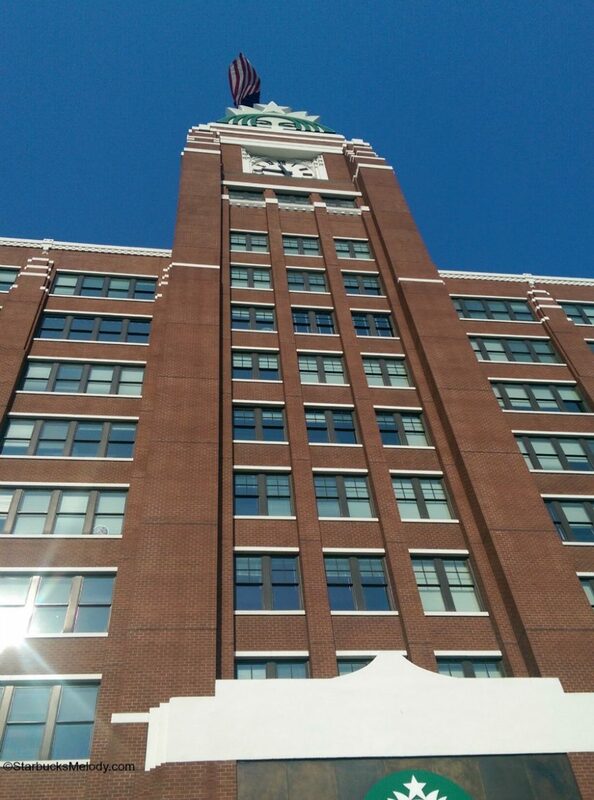 HOW DO I GET A TOUR INSIDE THE STARBUCKS HEADQUARTERS? Now and then, I get asked “How can I get a tour of the headquarters?” There is not an easy answer. If you are a partner, and if you happen to already know someone who works inside the headquarters, you might want to ask that person if he or she can give you a tour. If you don’t know someone who wants to give you a tour, talk to your district manager. By the way, Starbucks refers to the headquarters as the “SSC” which is short for the Starbucks Support Center. 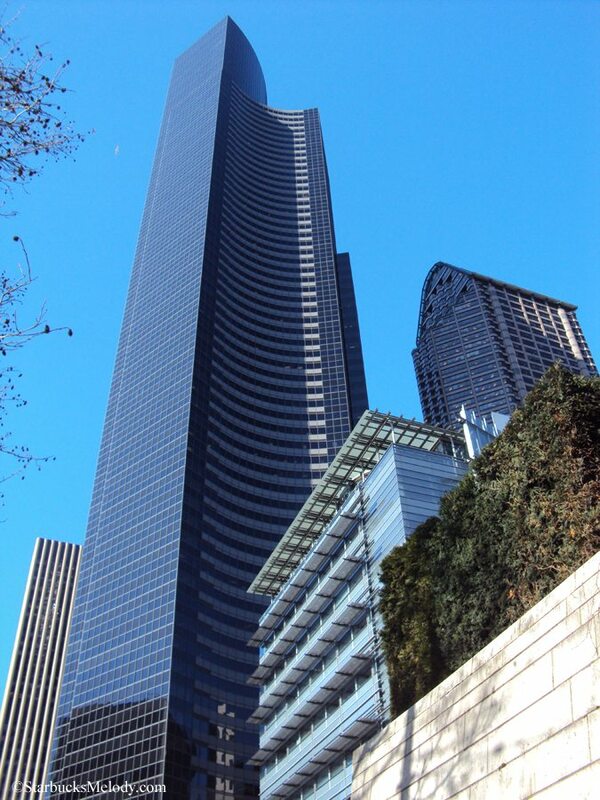 The address is 2401 Utah Avenue South, Seattle, Washington, 98134. If arriving by public transportation, consider taking the Link Light Rail to the SODO station, and then walk straight down Lander to First Avenue. You’ll easily see the headquarters. There is NO system set up to give tours of the inside of the headquarters. If you are a customer, don’t count on getting inside – unless you already know someone who wants to give you a tour, it’s not likely. In fact, I get asked all the time “Have you had a tour of the headquarters?”. I always joke that I’m seeing the whole headquarters in 20 or 30 short visits, and in little pieces. I can assure you, as I write this, I absolutely still have a wishlist of experiences and visits that would be great to have inside the headquarters. There are areas that I know about that I haven’t seen yet, and I never get tired of coffee cuppings, roastings, or the chance to hear leadership speak. And much much much more. 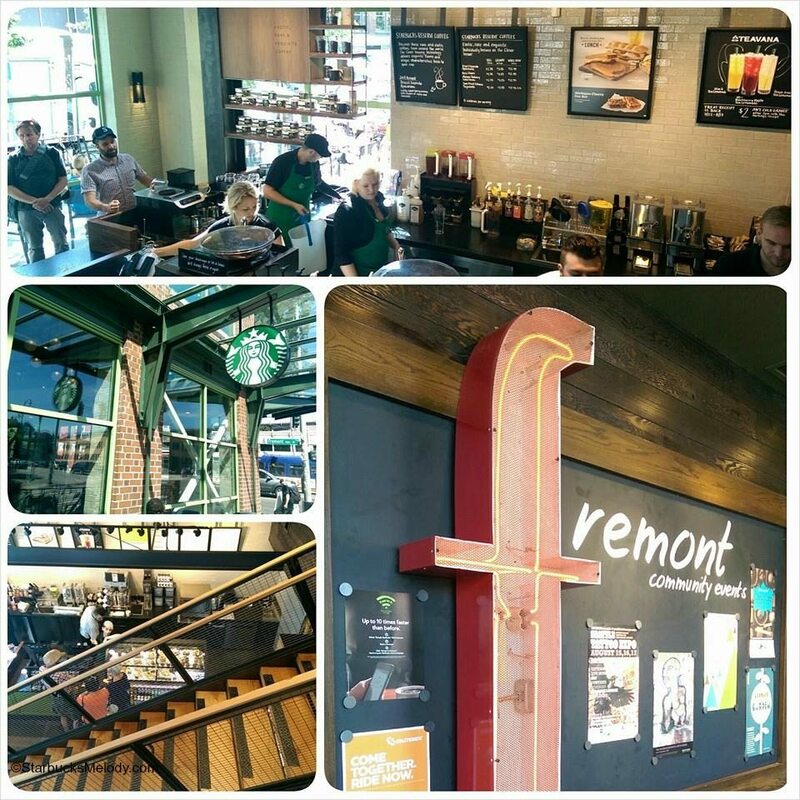 Visit the SODO 8 Starbucks – This is the Starbucks inside the Starbucks. Let me tell you what I love about this store: Fizzio! It’s the only Starbucks outside of the sunbelt region that has a Fizzio machine! Also, profits from this Starbucks benefit the CUP Fund! 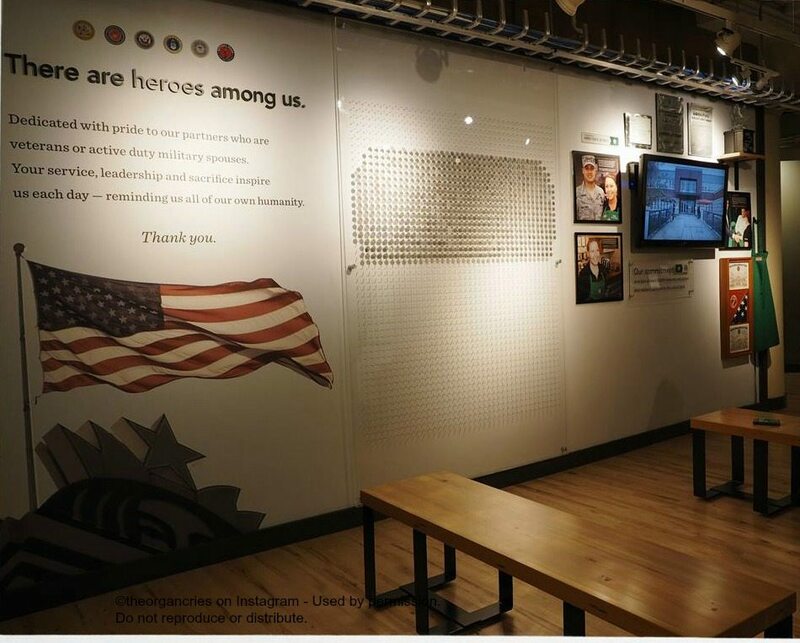 The Veteran’s Honor Wall – Inside the Starbucks headquarters, there’s wall honoring veteran’s. 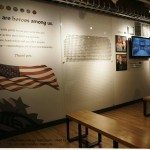 Partners who are veterans (or military spouses) are honored with their names on it. 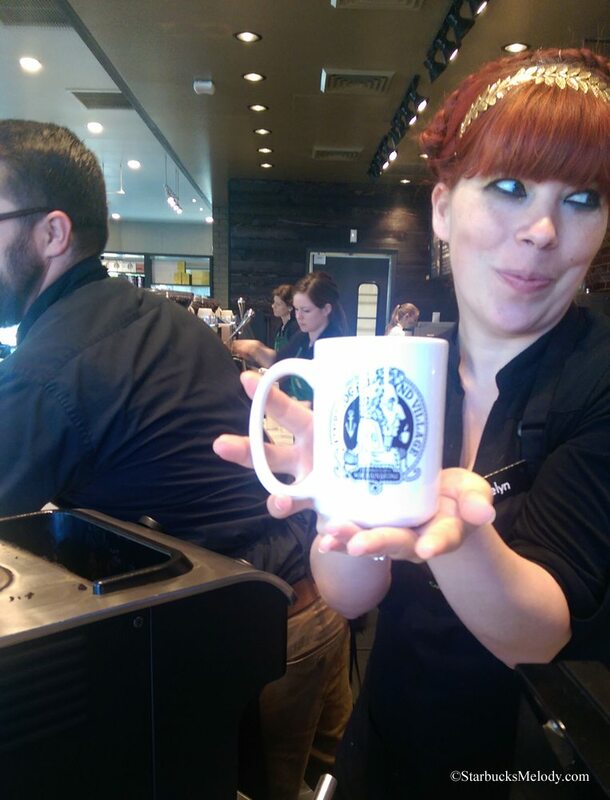 Starbucks has a commitment to hiring veteran’s and donating to Onward Veterans also. 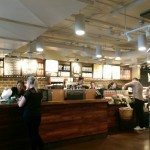 Take a look at the original prototype Starbucks cards, if you are a card enthusiast: Deep inside the Starbucks headquarters, there is a wall with numerous framed Starbucks cards. Among the many framed cards you’ll find six original prototypes framed and preserved. It’s fascinating to see the original prototypes! Visit Coffee Workshop Nine: Take a look at the coffee education area on the 9th floor of the SSC. 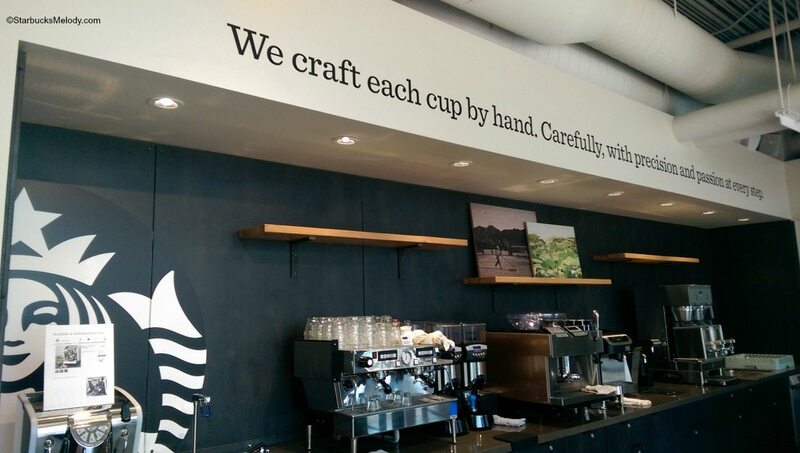 Inside the Starbucks headquarters is an area dedicated to coffee education. 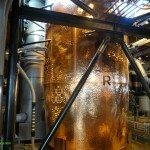 You can check out numerous brewing methods, a small roaster and even more! If you can, check out the “Pilot Plant” – This is an area of roasting operations where coffee recipes are created and finalized. Each year, as Starbucks coffee masters work on re-creating the perfect Christmas Blend or Anniversary Blend, they’ll go through test runs to get the perfect calibration. This is the working space that helps do that. I’ve repeatedly heard partners tell me that it’s hard to get into the Pilot Plant. Please don’t hold your breath that you’ll see it. Funny thing is, I’ve had the same conversation 2 or 3 times with partners who said it was easier to get a tour of the Kent Roasting Plant than the Pilot Plant. Yet, I still haven’t been able to see the Kent Roasting Plant! Someday, I hope. Even if just for the experience. Seventh Floor Social Media Room – This is actually on my wishlist of things to see! One day, I was with SSC partner and we walked right by the social media room. I’d heard of it, yet never knew where it was inside the SSC. (Trust me, I’d still need a map to get around inside there despite that I’ve been inside more than once.) I made a mental note that it was one of the areas that I wanted to check out someday! This is an area of monitors that show you a stream of what people are saying about Starbucks across various social media channels. There is a lot more to see than just that inside the headquarters, but if nothing else, it gives you some ideas of what to see on your SSC tour, if you somehow manage to arrange one. 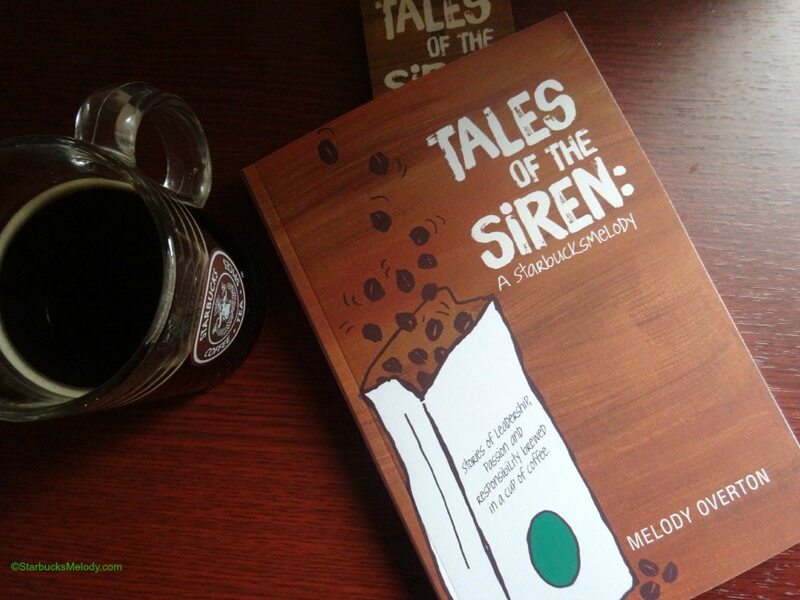 If you want to hear about some of my adventures with Starbucks, pick up a copy of Tales of the Siren. It’s only $2.99 in the Kindle store! As always, thank you so much for sharing!!!! It’s always neat to see everything you’ve learned and share it with us. I always learn something new! Also, I just finished your book and loved every page! I was thinking about coming up for a few days but with everything SBUX related to see in Seattle I’m thinking a few weeks might be necessary!!! @Michelle- LOL!!!! 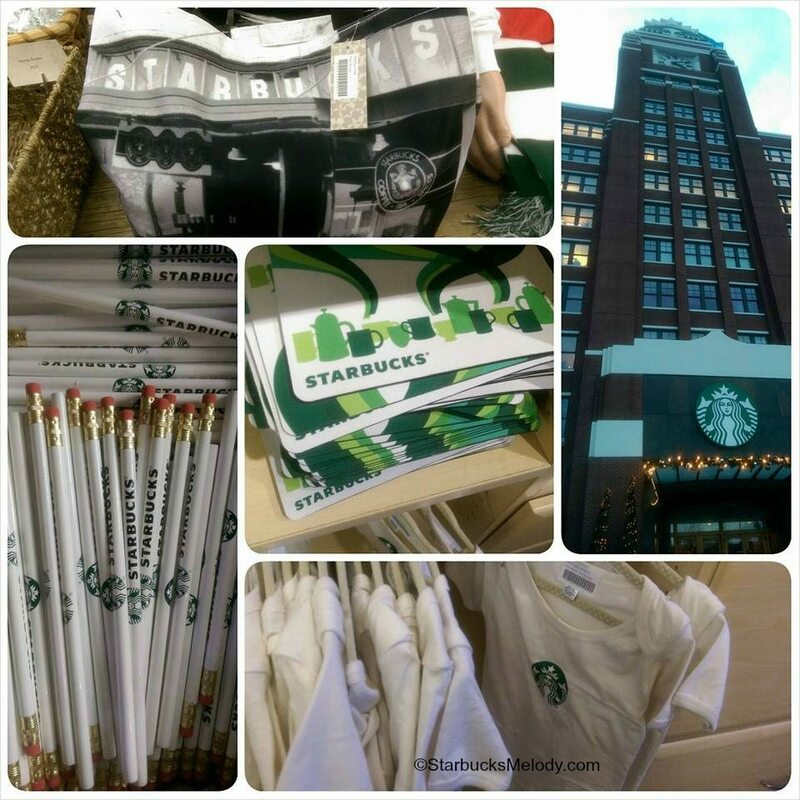 It’s pretty remarkable how much Starbucks stuff there is to do in Seattle! Couldn’t have timed this article better. I’ll be in town for a very short trip Thursday to see the Roastery, and I’m fortunate enough to have a friend offer a tour of the SSC. You’ve added a stop or two to my all to short visit. Matthew – Excellent! What did you add to your list of things to do? I has forgotten about the Teavana concept store, and how can I miss a Starbucks on the 40th floor? Melody once more you have written a wonderful travel guide for everything SB in Seattle. Now, your goal should be to publish a travel guide for everything SB in all of the USA. But, to be honest as I have seen, the SB vibe in Seattle is like no where else. Thank you. 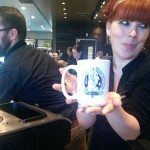 That Bainbridge Island mug is tempting to visit! Just in time for my trip! I’m heading to sodo today, just got the store though. But I’d love to score the tour you spoke about. Thank you for sharing. If I ever get the Seattle the Roastery and a visit to the Bainbridge Island store are tops on my list. Then I’ll work on the rest of the places but definitely the Pike Place Market store. And the coffee gear store since I do love the merchandise! Enjoyed your article & hope to make it bk to Seattle to see all of these places someday. The Roastery sounds amazing. Sounds like I need a trip to Seattle! Love your webiste, love your book! Love, love, love Starbucks! Please write an article on blogging. 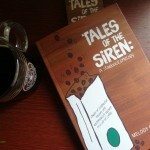 I want to start a blog, not about Starbucks, :). And would love some tips which from you I know would be great. Four of us will be in Seattle for the annual meeting next year and I so want to meet you! Why does Starbucks not serve decaf coffee in the evening? That is when most seniors and working people want decaf. Please bring it back in either House Blend or Espresso Roast? I’m planning to take a trip to Seattle to visit these spots. Where do you recommend staying in the city and how do you recommend getting around town? That’s a tough question. It kind of depends on your budget and what neighborhoods you want to see. You can be centrally located to shopping, a million Starbucks, and a number of sites, if you’re staying downtown. There are lots of downtown hotels – The Westin, The Roosevelt, The Grand Hyatt – I’m sure the’d all be good, but a bit pricey. If you’re staying down and don’t really plan leaving the main downtown neighborhoods (kinda loosely Pioneer Square, Downtown, Belltown, Seattle Center, and Cap Hill) you might not need a car at all. Taxis, buses, and the bus tunnel downtown will get you a lot of places. You can even take the monorail from downtown to the Seattle Center – and while you’re there visit the Space Needle, Dale Chihuly Garden of Glass, and the EMP. But if you want to venture to neighborhoods like Fremont (a cute neighborhood with its own unique sights), you may want a car or for sure a taxi. If you’re heading all the way over to Bellevue, Redmond, Kirkland, a car might be essential. The closest hotel to the Roastery is probably the Homewood Suites on Pike. Melody~ Can you suggest the order to visit all of these places (so that it’s sort of on the way instead of jumping back & forth) for us who are not familiar w/Seattle area at all? Also, how many days will it take to visit all of these places OR hours suggested and/or required to tour around each place once arrived? Thanks very much & look forward meeting you in person soon! 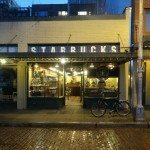 I’m a partner and I’m trying to figure out everything and anything I can do starbucks related on my trip to seattle in march! Any other partner perk ideas you might have? Thank you so much for the tips!!! Just visited the HQ store and the container location. Both were totally worth the trip. I mentioned your blog and the coffee gear sales guy knew it was you right away. I’ll definitely stop by again if we visit Seattle again. Thanks again! Next time you are in the SSC, I’d love to show you our art gallery area. It’s where we show the original paintings and drawings that are reproduced for stores around the world. THANK YOU FOR THE SUGAR-FREE VANILLA SYRUP. ENJOY THE FALL WEATHER ALSO. YOU ALSO SELL REALLY PRETTY CHRISTMAS ITEMS. I LIKE TO SEE WHAT YOU HAVE OUT TO SELL EACH YEAR. ENJOY THE UPCOMING HOLIDAYS ALSO. THANKS.